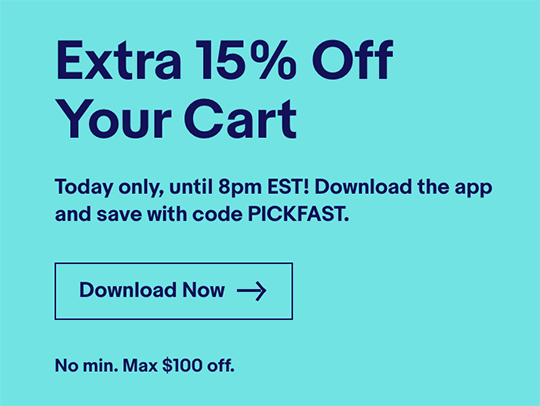 Today only deal: the last few eBay coupons were very popular with PR readers, here is another one - 15% off with coupon code PICKFAST (up to $100 in savings). If you are outside of the US - see Leon's top comment on this post on how to apply the coupon code. This deal is also valid for eBay Canada.